FILL UP WITH LESS THAN $20!!!!!!! Experience the freedom of the open road, while the wind drowns out the noise of every day life and watch your problems blow away!!!! If you have never owned a bike NOW IS THE TIME!!!!!!! Come see us today!!!!! Heritage Motors is family owned and operated! We are a BUY HERE PAY HERE and have been in business for over 20 years!! Heritage Motors is now reporting credit through Equifax!! Come grow your credit with us!! Largest inventory is Central ARIZONA and Tri-Valley Area!! HOME OF THE $200.00 MONTHLY PAYMENT!! 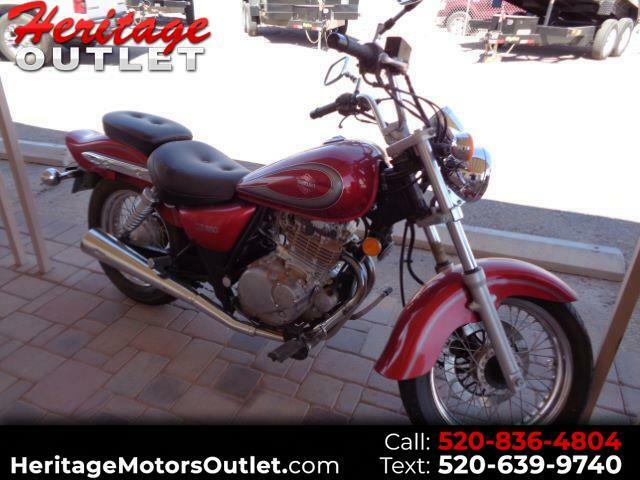 Message: Thought you might be interested in this 2001 Suzuki GZ250.